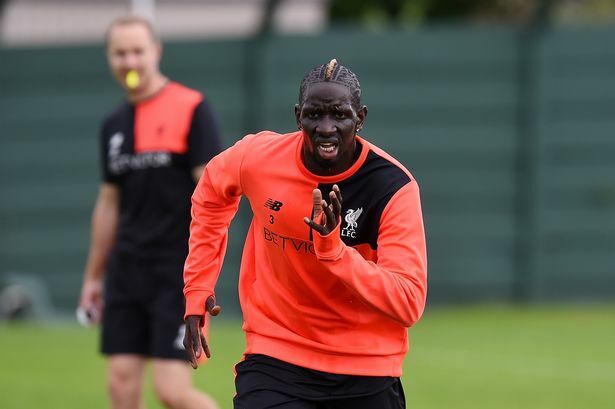 Mamadou Sakho is reportedly fully fit again after recovering from an Achilles injury sustained over the summer. He’s not seen a minute of first team action this season, but has been turning out regularly for the U23s in recent weeks as he bids to win over Jurgen Klopp. He played for the youth side again this week, partnering Portuguese defender Thiago Ilori in the heart of the defence. And U23s boss Michael Beale was impressed with what he saw, claiming that the Frenchman looked strong. “United were always looking for their No 9 (Scott McTominay) and his aerial threat but Mama showed his experience. Sakho has been out of favour since his antics on the summer tour of the USA led to him being sent home early. He was injured at the time and Klopp urged the player to head out on loan in a bid to regain form, confidence, and fitness after his long absence. Sakho ignored the boss’ advice and has been left to rot in the reserves since. “Mama is training with us and he’s working hard every day. That’s the closest he’s looked to full fitness. A couple more games like that and we’ll see what happens from there,” Beale added. Could Beale’s comments suggest a return to the first team squad is on the cards, even if he’s nowhere near the first XI? Only time will tell.